Are you on trip in Italy and crazy for the music festivals or outdoor concerts? During summer concerts in squares and public places throughout Italy spread out and are available for you in the Italian rich summer music festivals. Arena in Verona for example is one of Italy’s most incredible settings for outdoor opera performances and concerts. Built in the 1st century BC, Arena di Verona summer opera season usually starts in mid-June and finishes early September with fantastic performances. 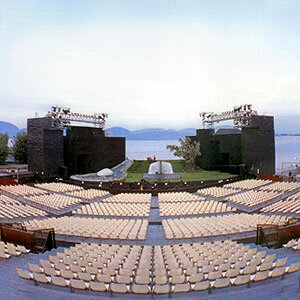 Another great idea for opera maniac is the Puccini Festival in Tuscany at Torre del Lago, a glorious and small town on a lake near the coast. Here Giacomo Puccini lived, while composing many of his operas there. The new outdoor amphitheater is located by the lake and the festival will be held in July and August as well as other concerts and ballets. Stresa Music Festival is on Lake Maggiore, and it will showcast both well-known performers and young winners of music competitions in a variety of indoor and outdoor venues. Be prepared to listen to good music in theaters, castles, churches, gardens, and villas around the lake. Rome’s Teatro dell’Opera will be helding summer concerts at the Baths of Caracalla, one of Rome’s scenic and spectacular ancient sites. The Umbria Jazz Festival, held in Perugia, is one of Italy’s top music festivals. The festival draws performers from all over the world and in addition to ticket concerts there’s lots of music going on in Perugia’s squares and streets. Ravello Concert Society offers classical music, from Spring through Fall in various indoor and outdoor venues in the Amalfi Coast, south of Naples. Sferisterio Opera Festival is held in Macerata, in central Marche region, from late July through early August. Also the Rossini Opera Festival is held in Marche in Pesaro, in August, showing the works by Rossini in the Adriatic Arena. This entry was posted on Saturday, June 23rd, 2012 at 10:27 am	and is filed under Events in Italy. You can follow any responses to this entry through the RSS 2.0 feed. You can leave a response, or trackback from your own site.